Sony Playstation 4 PS4 500GB Refurbished. 90 Day Warranty. 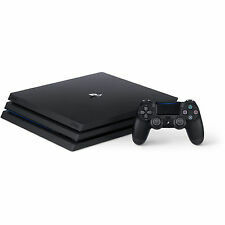 4.5 out of 5 stars - Sony Playstation 4 PS4 500GB Refurbished. 90 Day Warranty. 2,405 product ratings2,405 product ratings - Sony Playstation 4 PS4 500GB Refurbished. 90 Day Warranty. NEW PS4 PRO 2TB Limited Edition 500 Million Translucent Blue Console. Sony PlayStation 4 Pro 1TB Jet Black with Controller and all hookups works well! 5 out of 5 stars - Sony PlayStation 4 Pro 1TB Jet Black with Controller and all hookups works well! 1 product rating1 product ratings - Sony PlayStation 4 Pro 1TB Jet Black with Controller and all hookups works well! Sony PlayStation Pro 4 1TB Jet Black Console. Condition is Used. Shipped with USPS Priority Mail. Box is damaged. Sony PlayStation Slim 4 500GB Black Console. Condition is Used. Shipped with USPS Priority Mail. Used, but in good condition. Very minimal scuffs on the PS4. Comes with all components needed to set up the console including a controller. The Xbox also comes with a 15 dollar headset with a microphone. You are bidding an a perfectly-working original PS4 CUH-1001A. I upgraded the original 500 GB drive years ago to a fast 2 TB drive, more than enough space for all your games. It is running version 6.50 of the firmware. There is some mild scratching of the plexiglass surface (the left side on the top), but other than that, it is in great condition. I will also include an original PS4 controller. Unit will be shipped in a PS4 Pro box (not the original box). Bid with confidence, I have a 100% rating. Item will ship within 24 hours of payment. New ListingSony PS4 Slim. Barley Used. Excellent Condition. Sony PS4 Slim. Barley Used. Excellent Condition.. Condition is Used. Shipped with USPS Priority Mail. Ps4 used console with power cable and 4 games. Condition is Used. Any questions please ask. Condition is Used. like new 👍👍. Sony PlayStation 4 Pro Limited Edition Destiny 2 Bundle 1TB Glacier White. Condition is Used. Shipped with USPS Priority Mail. Both Destiny 2 and Grand Theft Auto 5 are included. Playstation 4 Console with headphones, controller and 3 games! Everything is in good working condition. New Condition! Not a Bundle Item. The Sales Depot will always do everything we can to resolve your issue as quickly as possible. We will make sure to correct any situation to the best of our abilities. Sony PlayStation Slim 4 1Tb PS4 Slim 1TB With Games And Extra Controller! 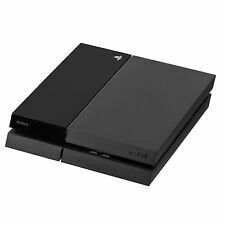 Sony PlayStation Slim 4 1Tb Black Console. Condition is Seller refurbished. Everything in this lot is in good working condition. Ps4 Slim 1tb system has little signs of wear and tear. Red regular wireless controller as well as blue mini wired controller included. Games are Spider-Man, God of War (2018), The Show 18, Bloodborne and Motocross. Message me with any questions. Shipped with USPS Priority Mail. Condition is Used. original box included! PlayStation 4 Pro 1TB 4K Ultra HD Console - Black. Condition is New. Shipped with USPS Priority Mail. Limited Edition Spider-man Playstation 4 PRO PS4 1TB Console ONLY- MINT COND. The console is in good condition and everything works as it should. ps4 PlayStation slim 500gb used w/games and controller. Condition is Used. Shipped with USPS Priority Mail. Unit is in very good condition always on a desk. You will get 1-)Headphones fosmon. 2-) 4 games 3-) scuff collective minds fps strike pack 4-) one controller All cables included. No flaws no issues no noise. Sony Playstation 4 ps4 Slim 500GB With 6 Games. Condition is Used. Rarely used in great condition, includes A/C cord, 1 wireless dual shock controller with charging cable. 6 games included with cases all in excellent condition - Uncharted collection , uncharted 4, NBA 2K16, Star Wars Battlefront Deluxe edition, Madden 16, MLB the show 17. 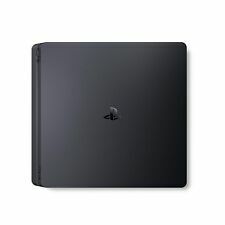 Shipping is $ 15 within the U.S.
Sony PlayStation 4 Slim 1TB Black Good Condition with BO4 & 2 Other Games! 5 out of 5 stars - Sony PlayStation 4 Slim 1TB Black Good Condition with BO4 & 2 Other Games! 332 product ratings332 product ratings - Sony PlayStation 4 Slim 1TB Black Good Condition with BO4 & 2 Other Games! Sony PlayStation Slim 4 500GB Black Console w/ Games! The Sony PlayStation 4 is a video game console developed by Sony Interactive Entertainment. 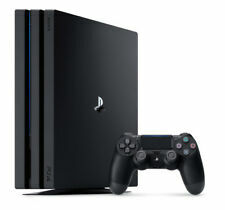 First released in February 2014 in Japan and November 2013 everywhere else, the PlayStation 4 emphasizes online play, social interactions, and multimedia capabilities. The system features a rich and diverse library of RPGs, sports, strategy, action games, and much more. What are the features of the Sony PlayStation 4 console? The PS4 features Wi-Fi, Ethernet, Bluetooth 2.1, and USB 3.0 connectivity. It has a Blu-ray optical disc drive that can play both Blu-ray and DVD movies. The system comes with your choice of a 500 GB or 1 TB hard drive. 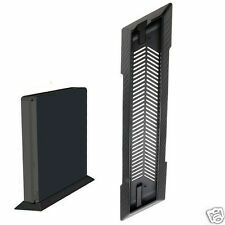 The storage space is upgradeable and also supports solid-state drives. The PS4 comes with a PlayStation camera that lets you communicate with other people or stream live through Twitch, YouTube, DailyMotion, and other platforms. In addition, you can share pictures and content instantly through social media sites. What are the features of the Sony DualShock controller? The Sony DualShock 4 wireless controller introduces a touchpad. This is used to move cursors around on the screen. It can detect two touch presses simultaneously. In place of the select button, the DualShock 4 substitutes a Share button, which is designed to let you stream, record video, or upload screenshots with a press of the button. The combination of internal motion sensors and an LED light bar allows the system to track your motions and translate them into the games. The controller features a lithium-ion battery that can be charged through a micro-USB cable. What kind of online features does the PS4 have? The PS4 allows users to access the PlayStation Store, PlayStation Music, the PlayStation Video service, and the PlayStation Plus subscription service. Paid subscribers receive access to many unique features, including early access games, beta trials, store discounts, online multiplayer matches, and automatic downloads for software updates and game patches. Is the PlayStation 4 backwards compatible with previous consoles? The PS4 is not backwards compatible, but select PlayStation 3 games can be streamed from the PlayStation Now cloud-based online service. In addition, emulated versions of PlayStation 2 games with upscaled resolutions and support for PS4 social features are available as digital purchases. How many versions of the Sony PS4 have been released? Sony made two major revisions to the console. The PlayStation 4 Slim console edition, released in September 2016, is a smaller version of the original PS4. It has rounded corners, a matte finish, and a 40% smaller size. The PlayStation 4 Slim comes in a 500 GB version and a 1 TB version. The PlayStation 4 Pro gaming console was released in November 2016. The Pro console is compatible with all PS4 games, but it adds several enhancements such as slightly improved graphics, higher resolutions, and HDR support. The PS4 Pro is designed more for 4K-resolution and/or HDR-enabled TVs or monitors. The PS4 Slim and Pro also feature improved Bluetooth 4.0 connectivity and USB 3.1 ports.